Erwin van Dijk has now been in charge of Eastbourne Borough for a full season and is said to be very happy with the progress made by his southern English side. On the face of it, this season has been a relatively mediocre season with Eastbourne finishing 14th in the league, but taking a closer look at the club will uncover huge improvements off the pitch. Van Dijk is the man to thank for that. Catch up on Part Two here! Financially the club are insecure. Thanks to clever wage management, Eastbourne remain in the positive and are not in danger of going in debt, but the lack of finances has meant that the club haven’t been able to push forward in terms of facility development. Indeed, van Dijk has requested to improve the youth facilities on multiple occasions but unfortunately the lack of finances was the factor behind his rejection. Nevertheless, van Dijk has taken Eastbourne forward by obtaining a senior affiliate in Coventry City, increasing staffing levels from 7 to 18 and developing a harmonious atmosphere in the dressing room, securing the support of all but three first-team players. Erwin van Dijk has been heavily praised for his treatment of two players at the opposite end of their careers. Ian Simpemba, a 35-year-old central defender, has been a first-team regular for Eastbourne since 2013 but was touted to take more of a back seat role this season as he took up a coaching role at the club. Instead, the club captain has played 36 league matches and was a key member of van Dijk’s side. Carl Harban, a 16-year-old youngster from Barnsley, joined Eastbourne as van Dijk’s first signing. Harban played in 29 league games this season and is already being considered as the long-term replacement for Simpemba as captain. Harban is a central midfielder who has largely played as a deep-lying playmaker but has the potential to play further forward as an attacking midfielder. Media predicted Eastbourne to finish in 12th at the beginning of the season. Yet many of Eastbourne’s unbiased fanbase had concerns that a relegation battle may be afoot. Van Dijk himself had his own doubts as to whether his side could avoid the drop. Though Eastbourne certainly had some players with quality, the majority of the squad were playing at or above their level. 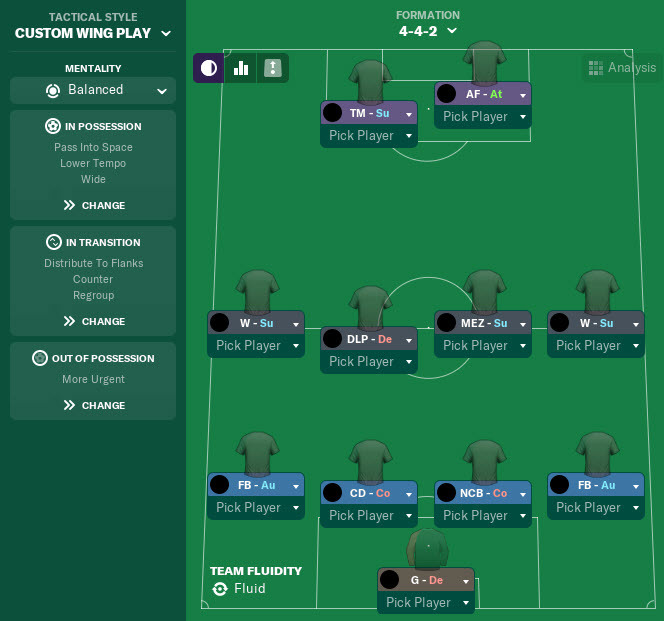 Tactically, van Dijk settled on a 4-4-2 system, focusing on their strengths out wide. Ex-Brighton winger Dean Cox was the standout player with both Michael West and Ryan Hall also providing extra quality out wide. One of the most common goals we scored either came from a cross from deep by either right winger Cox or left winger Hall or it came from a ball up towards target man Mustafa Tiryaki who would then flick the ball on towards top scorer Charlie Walker. Throughout the season, Eastbourne seldom challenged for the playoff places but always remained around 7-12 points away. A run of two wins from the final 10 games saw an end to the playoff hopes and a 14th place finish was secured after gaining five points from the final three games. Erwin van Dijk has shown over his first year with Eastbourne that the future could well be bright. Yet football is an unforgiving game and should van Dijk start poorly with his side next season, his first season in charge may not look as promising as was first thought. It may end up looking like the beginning of the end. I personally am hoping to push for the playoffs next season. With 6 teams entered into the playoffs, we only have to finish 7th to be in with a chance of going up. Maidstone and Havant & Waterlooville were the teams relegated from the Vanarama National this season, they will be the sides looking for immediate promotion. Billericay are another side to keep an eye on – the team subject to some half-time analysis in the previous post had a poor season finishing 7th and will be looking to buy their way to promotion next year. In Part One of this series I gave you the chance to vote on Erwin van Dijk’s dream job – and you chose Groningen! This means that in the Achievement Hunter Challenge that I am taking part in (more info here) managing FC Groningen will be an achievement I need to complete. 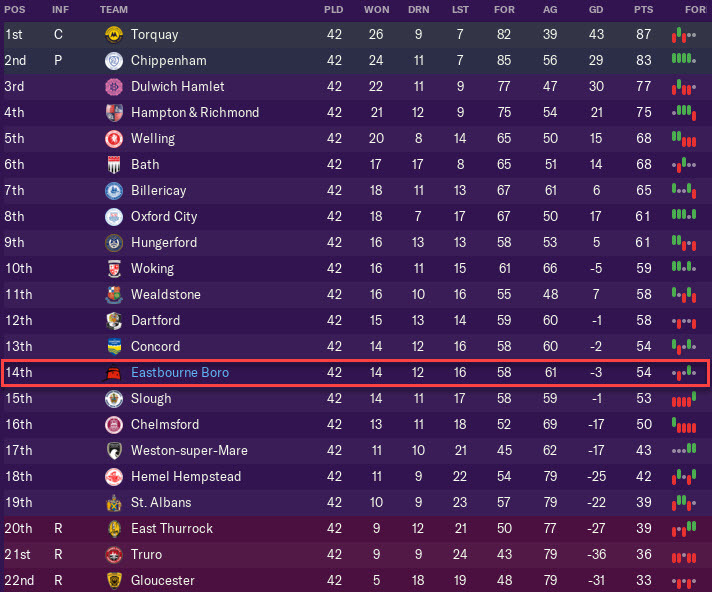 With Eastbourne, I am realistically able to achieve a couple of achievements in the next few seasons. Eastbourne’s record transfer fee spent is £2K, so I should be able to obtain this achievement if we ever get given a transfer budget! 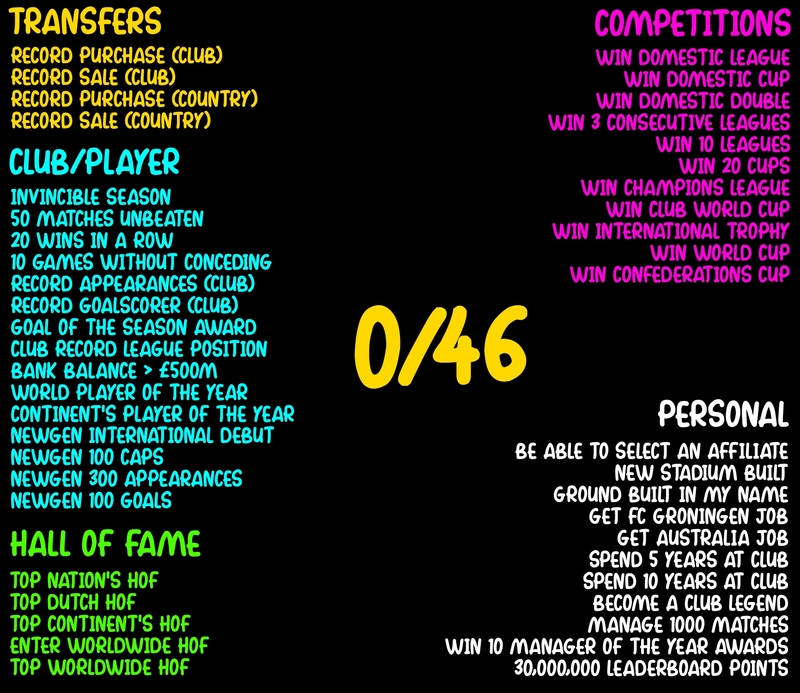 Our record fee received is just £15K – another attainable achievement. I also hope to achieve the club record league position achievement. Eastbourne’s highest league position in their history is 13th in the Vanarma National – 1 tier higher than where we are now. I’ll keep you updated with these achievements in future posts, but with this series the main focus will remain Erwin van Dijk and his career in management. If you want to stay updated with further updates from this blog, follow us. Thanks for reading! 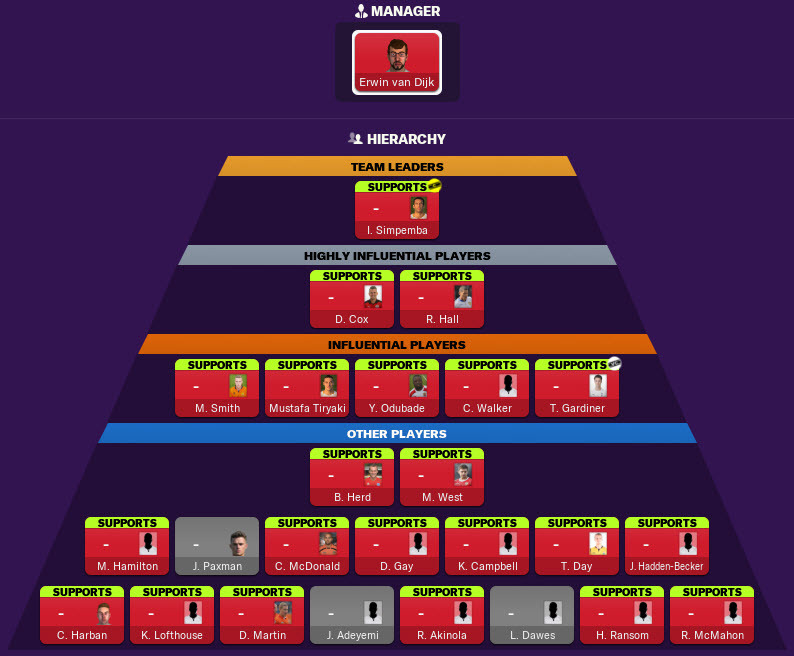 This entry was posted in Achievement Hunter Challenge | @VivaLaVidaFM, FM19 Stories, Football Manager 2019 and tagged achievement hunter challenge, eastbourne borough, england, erwin van dijk, fm stories, fm19, football manager, Football Manager 2019. Bookmark the permalink.